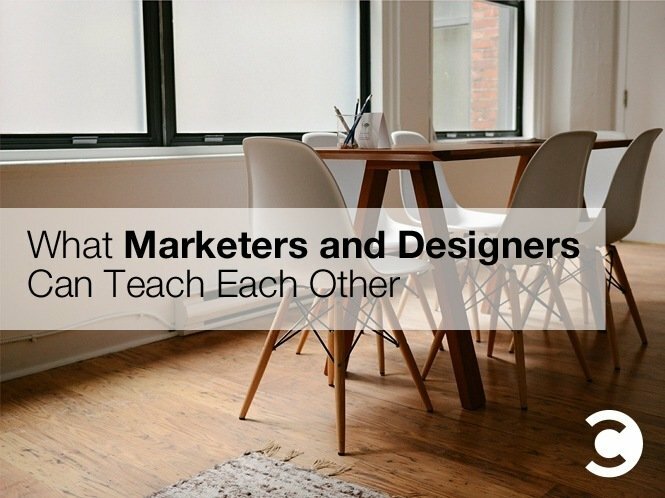 Every project needs both sides of the equation: marketers and designers. Without marketers, there would be no informative data, no incisive strategy, and no slick textual content that inspires the reader. Without designers, that great information would be boring, black and white block copy all the time. There would be no animations, color variations, or illustrations to help readers understand the conclusions from the text. No matter which side you fall on, you probably have thoughts for the other that you’ve never really had a chance to get out in the open. Read on for a frank conversation between both sides of the equation. By getting it all out there, both the marketing and the design sides will understand more and do their jobs better. I can’t read minds. If we are going to be successful, the number one thing we must do is communicate well. I know you have a picture in mind of how exactly a project is going to turn out, but I can’t see what you’re picturing unless you bring it outside of your head. Show me, don’t tell me. Remember: As a designer, I’m a visual person. Use any medium you want: examples from other industries, things you don’t like, videos, anything. Just remember that words are your thing, not mine, and I’m going to need some help getting an idea of what you’re thinking. If you must tell me, be specific and clear. Don’t use vague phrases like, “Make it pop,” “I like clean design,” or, “It’s not what I wanted.” These things can mean a million things to each individual, or nothing at all. Show me specifically on an image what you want, what you like, or what you don’t. Use emotional language. Tell me how you want things to make you feel. Emotions are much more universal, and it will help me understand your creative direction. If the image makes you feel excited, confident, or informed, I want to hear it. If it makes you feel sick to your stomach, I want to know that, too. I’m not a copy editor. The words are your domain. My job is to incorporate your words into the finished layout, so please make sure your words are correct when I get them. Let your “yes” be “yes” and your “no” be “no.” If something is approved, let’s move on. Great, fast, and cheap. You can only pick two. Don’t waste our time by demanding all three. Here’s what I really, really wish you realized: We have different skill sets. If our projects are going to be successful, it needs both great content and great design. My job is so much smoother if you value my expertise and input as equal to yours. I realize you sometimes wish you didn’t need me and could do this yourself, but you can’t. So I’m asking you, with utmost respect, to trust me and give me what I need to succeed—even when that means letting go of a little bit of the precise picture you had in your mind. Thanks so much for hearing me out. I can’t wait to work more together. I got your letter. Thank you for that. I hear what you’re saying, I wanted to share a few tips from my end to also help us out. Do your homework. This can be as simple as visiting my website. It doesn’t have to take a lot. But if you’re not a member of my in-house team, please take five minutes to gather come context before we start. Ask questions if you’re not clear. It wastes our time if you don’t understand something and start designing down the wrong path. I promise not to think your questions are simplistic when you ask me what colors and fonts I’m thinking. It helps us both to agree on expectations right up front. Please use copy and paste. I heard your pleas, so I’ll make sure my copy is correct. But please copy it direct to the design layout—when you retype it, errors are inevitable. Be pragmatic. We are doing commercial work, not exploring the understanding of human existence via a brochure. I appreciate your artistry, but I also have a clear business objective in mind. Done is better than perfect. I’m happy to help move the design towards what I want. If there are no proofs for me to review, I can’t give you any feedback. Honor your timelines. I’ll let you set the timelines if you promise to keep them. If I set a deadline that isn’t realistic, please let me know an accurate timeline. My next several decisions depend on it. Too many options stress me out. You are the expert, so when we’re faced with a choice, please tell me which one you prefer and why. I want to know what you think is best. I hired you because I trust you. Too many options make me doubt your expertise. I hear what you’re saying on the need me to respect your expertise and the importance your design expertise brings to the project. You’re right, it’s hard for me to give up control. I wish I had your skill with visual design, and sometimes I’m uncomfortable with the parts of the production I can’t entirely control. What I’d ask from you is to be a little patient with me, and give me the benefit of the doubt. When I explain rather than show you what I want, or when I use vague words like “clean” or “unique,” it’s often because I don’t really know what I want or need. I am working hard to hand that piece over to you, and to trust that you will help me create a great final product. Thanks for reading, and for helping us learn together. I also look forward to more work together. Now that you’ve seen both sides of the argument, I hope you’ll have a better idea of where each side is coming from. If you’re a marketer and don’t know the first thing about visual design, it can be helpful to step back and realize it’s an asset to have a trained designer on your side. If you’re a designer who feel more comfortable working in on digital products than interfacing with customers, it can be a relief to remember that marketers are demanding about their projects not because they don’t trust you, but because they care. If both sides walk a mile in the others’ shoes, or even just a lap around the office, the collaboration that results will be much more smooth, productive, and satisfying for all involved. Russ Perry has spent the last 10 years working with brands such as Apple, LG, Morgan Stanley, and the Harlem Globetrotters. In 2014, he founded Design Pickle, a startup that provides unlimited graphic design help for only $195 per month.